Sony’s MDR-1000X headphones do it all. They’ve got best-in-class noise-cancelling, impressive sound, a sleek design, and loads of app-powered goodies. That’s precisely why I was excited, when Sony showed me the new WH-1000xM2. They’re just like the old 1000X headphones but better. Much to my dismay, they’re also $50 cheaper. Now I wouldn’t say all these nice things about the 1000X headphone family if I didn’t mean it. Having tested dozens of different wireless headphone models, I can confidently say that the original MDR-1000X really are an excellent set of cans. Any upgrade seems like icing on an already delicious cake, but the things Sony chose to tweak are particularly appealing to me. First, there’s improved noise cancelling. 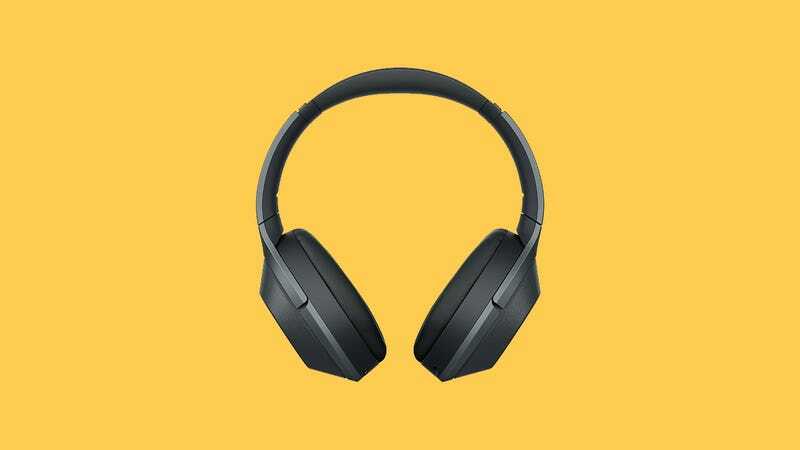 Not only does Sony claim that its made the noise cancelling on the new 1000X headphones more powerful, but it’s also more adaptable thanks to improved ambient noise control as well as Sony’s so-called Sense Engine. The ambient noise control essentially means you’ve got different settings so you can block out loud sounds but still hear voices, for instance. The Sense Engine actually uses feedback microphones on the inside and outside of the ear cups as well as a new atmospheric pressure sensor to offer personalized noise cancelling that’s especially great on airplanes. I have not used the new 1000X headphones on an airplane, but all the buzzwords sound neat. Next, there’s the sound and design. While Sony doesn’t mention any big improvements to the audio hardware in its announcement, the company does talk a lot about the accompanying app. As with other wireless headphones in this class, the new Sony app offers a built-in equalizer as well as different preprogrammed scenarios, like outdoor concert or sound studio. One new feature called Listening Position, let’s you control which direction you want the sound to come from. So if you’re sitting down with a friend to the left and you want to move the music to your right, you can with two taps in the app. All these tricks, and Sony says the new 1000X headphones have a battery life of 30 hours. And last, the price. The original MDR-1000X were $400. The new-and-improved WH-1000xM2 cost $350 and will be available in September. Cheaper and better is always a good combo as far as gadgets are concerned. And aside from our initial excitement, we’ll reserve final judgment for when we get to spend more time with the new 1000X headphones for a review. Until then, we can only assume they’re just as good as the old 1000X headphones but $50. That alone is great news.